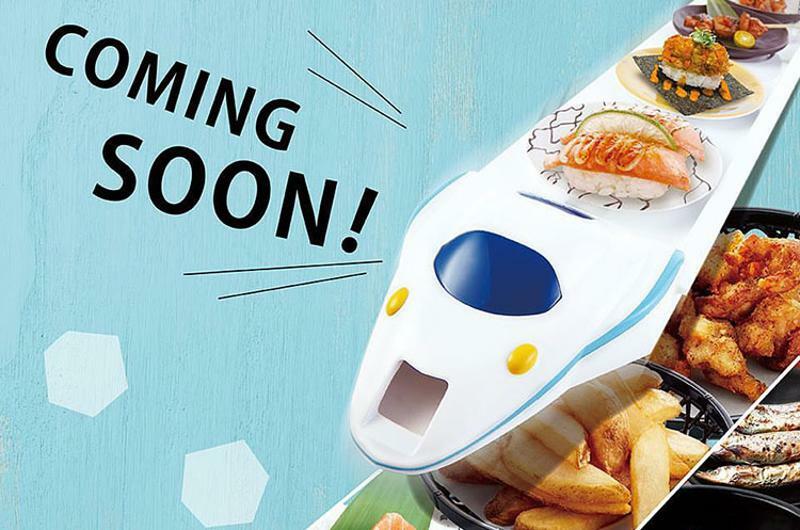 The Robotic Restaurant Revolution may not be here just yet—but it’s on its way. From delivering food to flipping burgers to taking and filling orders, robots are finding their place in the restaurant industry. Robotics startup Momentum Machines, currently at work on its first restaurant, recently received more than $18 million in venture funding. Whether these automatons will trim payroll or provide enough of a gee-whiz element to drive traffic remains unknown. (Panera has said it had to “dramatically increase” staffing during the early days of its kiosk ordering program.) But that’s not stopping operators from launching robot-focused concepts. 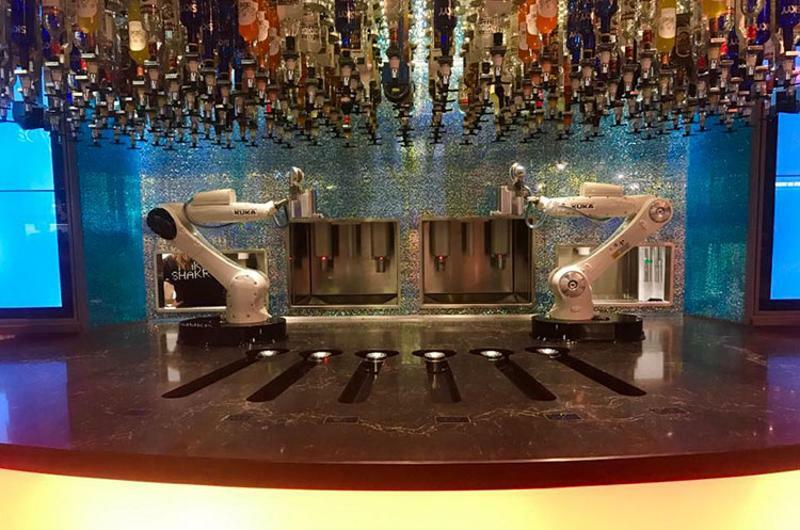 Here’s a peek at three new concepts in which robots replace traditional bartenders and servers. Patrons will order cocktails via iPad at Tipsy Robot in Las Vegas, slated to open June 30 in a shopping plaza. Two robots will then mix, pour and garnish each drink, with each cocktail taking between 60 and 90 seconds to make. 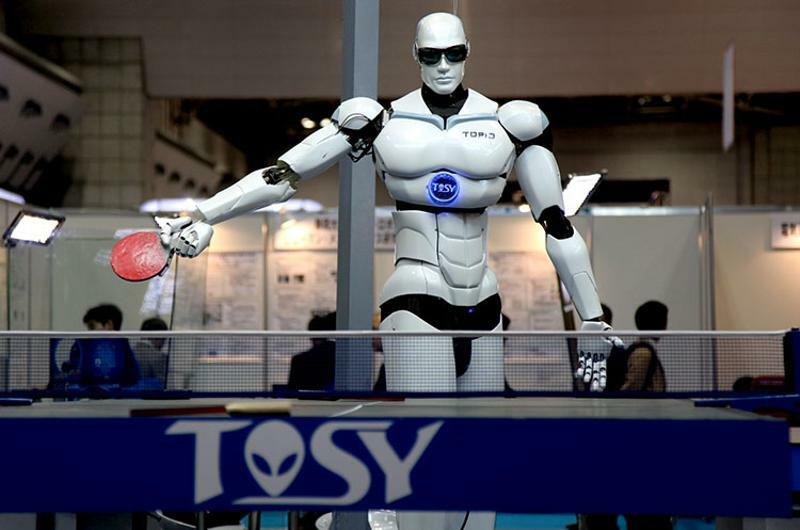 Similar robots have been employed on a cruise ship, according to Eater. The other side of the bar features human bartenders. 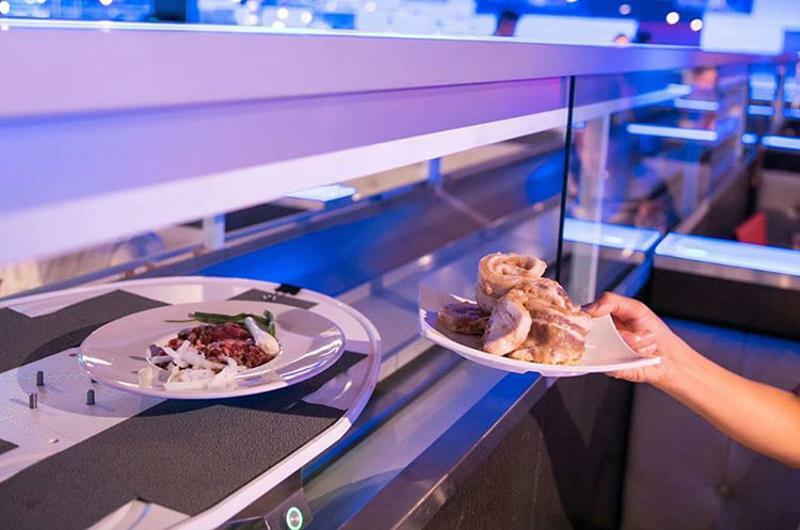 All-you-can-eat Gen Korean BBQ House has a dozen locations, but it recently rolled out robot servers at its Montclair, Calif., unit. That restaurant features tracks along the dining room floor that allow wheeled robots to ferry food from the kitchen to tables. Each order is placed via robot and sent to the table in about a minute, according to news reports. The robot servers are a pilot program. If deemed successful, they’ll be added at other locations. Conveyor belt sushi is nothing new, but Magic Touch Bullet Train Sushi in Cerritos, Calif., kicks it up a notch. Diners order via iPad, and high-speed, miniature bullet trains zip sushi rolls, sushi tacos and mochi balls from the kitchen to tables in a few minutes, according to L.A. Weekly. Servers are on hand to refill drinks and clear plates. At the end of the meal, diners press the “call attendant” button on the tablet, and a server brings the check to the table.